Courtesy of Richard Newcomb Jr., Washington Fine Properties. MUST SEE! 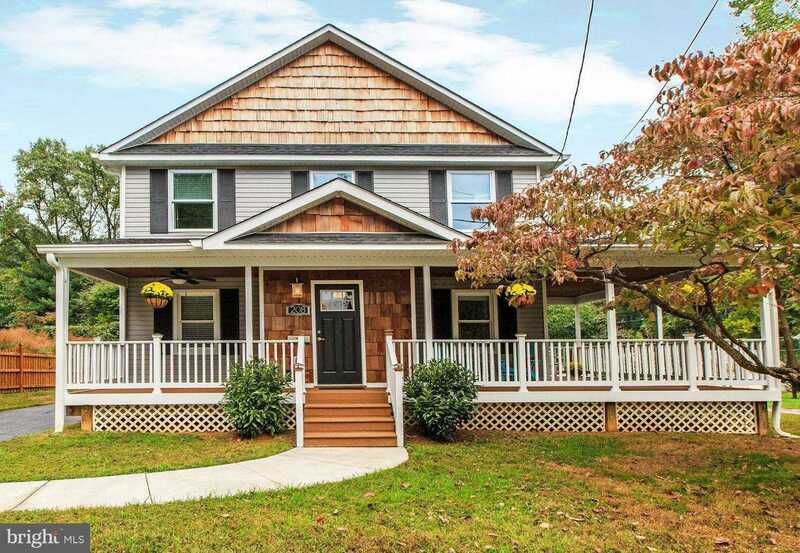 Beautifully rebuilt & completely renovated in 2012, this spacious, move-in ready home in walkable West End Park has both adorable craftsman character AND fabulous modern amenities! Stunning refinished hardwoods, gorgeous open kitchen with granite, stainless steel appliances, & custom butler’s pantry, incredible master suite with oversized walk-in, breathtaking bath with separate shower, two vanities, & clawfoot tub! Wrap-around porch, homework nook, first floor guest bedroom & full bath, & spectacular mudroom. Roof, HVAC, appliances, & windows all only 6 years old! Walk to Metro, Rockville Town Square, parks, & Beall Elementary. Potentially assumable 3.25% FHA financing! Please, send me more information on this property: MLS# 1009912208 – $774,800 – 208 Mannakee Street, Rockville, MD 20850. I would like to schedule a showing appointment for this property: MLS# 1009912208 – $774,800 – 208 Mannakee Street, Rockville, MD 20850.